Selling your home is an overwhelming and exciting process, as homeowners see great offers coming in, it could be quite confusing. While the journey is thrilling, it also comes with its own pros and cons. The situation intensifies when you see a lot of offers knocking doors, you may get confused in concerns with what offer suits you the best. It is essential to get through with the know-how of the whole process and choosing the best deal which covers all your concerns. Providing below are some tips for picking the best offer while selling your home, which you can keep in mind before you get tempted and wrap-up deals. It could be the first time for many homeowners, and it is essential to know the fundamentals right, in the initial place. The formula to pick the best offer while you sell your home is to understand the process of sale thoroughly. You need to comprehend that, all proposals are not acceptable, the decision completely lies in your hand – you can either decline, negotiate or accept any offers that come in the process. In some cases offers can also be modified based on the requirements of both parties mutually, this particular process of making a deal is called a counteroffer. While you put your home in the market for sale, you would want to set criteria or baselines on which you’ll be proceeding. 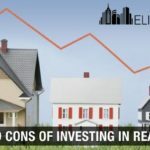 Set your zeroes to priorities, for example – if money is the point of inclination you could cut down on the selling duration to find the final offer, and so vice-versa if time is your priority you could cut down the monetary expectations by selling your home fast for least maximum gains. As said in the very beginning home selling process is a very overwhelming process, as you are emotionally attached to the place you wouldn’t want to sell it. But nonetheless, it is just a deal which could favor you for life and would lead you to make wiser decisions. Acceptance will lead you a long way, you would have to face a lot of criticism and welcome to the negative comments of buyers where you would feel offended. For example – If your residence has exteriors that are aesthetically appealing but, as soon as you enter the house the view of the living area is shabby in such cases, buyers are likely to complain. Here, you do not need to lose your calm, this could be a sign, that the buyer is potential and has an interest in your property. As a piece of suggestion – if you want to close the deal fast, it is highly advised to pick an all-cash offer. While walking on the track of an all-cash offer, the buyer would likely put a discounted price on the house which as a seller is an added advantage. It will remove hurdles like contingencies and waiting period. Though it sounds all good and glittery, it is always essential to have your proof of funds letter accounting from the buyer’s bank or any legit lender. 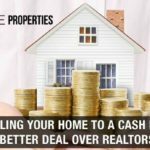 Buyers propose a cash offer eventually to pay less for the seller’s property as they elude contingencies, prolonged time of sale and pay hard cash immediately to close the deal. Also, remember the highly priced offer may not always be the best one, you might want to think through the other terms as well. Accepting cash offers will let you be at peace, as the gains would be definite. If you want to sell your house fast for cash. You can get in touch us, we buy houses within 3 days. The amount that the seller is left with after cutting the expenses along with the closing cost is known as net proceeds. For example – If you receive an amount of 5,000,000 dollars as your closing cost, as a seller you would have to meet with some terms of the agreement which will cost you dollars. If the cost of repair, inspection, appraisal, and some other terms cost you 500,000 dollars, the outstanding amount would be 4,500,000 dollars – this amount is known as net proceeds. Repair cost post appraisal etc. that you may find in the contract which are subjected to change accordingly. Contingencies are clauses that are present in the purchase contract. There are a set of standard conditions which must be satisfied, in order to proceed with the sale. The clauses are likely to vary from contract to contract or buyer to buyer, as some of them can be summed up over demands, there are some basic requirements that must be taken care of before progressing to an agreement. Appraisal contingency is a standard real estate contingency that, allows the buyer to decline the contract without paying the upfront penalty, this case is only applicable when the appraised value of the assessed property is comparatively less than the purchase price. In such circumstances, the seller can ask for a refund of the earnest money deposit. Here, the time is usually between 5-7 days, the objective of inspection contingency is that it covers the buyer which helps them to back out of the deal or negotiate for repairs. A home inspector will inspect the HVAC, electrical and plumbing systems. If the report is disapproved by the buyer, he or she could terminate the contract or negotiate mutually. If your funds are likely to fall through as a buyer, you can terminate the contract and reclaim the earnest money deposit if you don’t secure any finances in the given term period (the financing contingency or also known as mortgage contingency states the specific number of days when the potential buyer has to apply or obtain financing). In such cases, the buyer can request for an extension, or according to the norms, the buyer will have to purchase the property regardless he or she has their finances on track or not. Hence, as a seller, it is always necessary that you comprehend the difference between a pre-qualified buyer and a pre-approved buyer (these terms are used interchangeably, which could also differ from the seller’s requisitions). Although, a pre-approved buyer is always in favor as they have high chances to achieve loan on first place basis. In home sale contingency the buyer has to sell their existing property and settle the finances prior to buying the new one (or your home in specific) what it does is, it gives liberty to the buyer ensuring they have the gains from their existing property, further to buy yours inclusive of no hassles. You can also buy and sell property at same time all you have to do is get in touch with ‘we buy houses for cash’ companies like ‘Elite Properties’, they will help you in order to satiate your requirement and get the work done. In home sale contingency a specified amount of time is provided to manage everything from selling and financing but, it is not necessary that things would go on a definite path as there is a possibility of things might won’t go according to the plan. 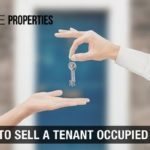 In such a case the buyer can back out if he or she does not achieve the desired amount of the existing property – here the buyer will not be questioned for terminating the deal. The seller here furthermore has the privilege to drop the agreement if the purchaser's house isn't sold out within the specific time frame. As money could be the leading aspect of selling a home, it is similarly significant to understand other related terms carefully before making a move. The real estate market is full of uncertainty hence it is advisable to be thorough with the know-how of the selling process. Ask questions or make a checklist of terms that simplifies the home selling procedure. Check if the buyer is pre-qualified for a mortgage and has a pre-approval letter, this enables the seller to be at peace as the credit score, debts and available assets has been previously passed with an evaluation. 1. What Type Of Mortgage Does The Buyer Avail? 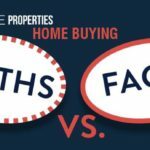 Each mortgage has some terms of the agreement, and prerequisites, there are mortgages that allow buyers that have a low credit score or even no money required for purchases. There are mortgages that will progress only when the buyer has a required or high credit score to make down payment for the asset. It does not matter on what grounds is the buyer obtaining his finances, as a seller it is only essential that the buyer has a fair amount of down payment that will provide certainty in the sale. Mortgages like FHA and VA loans have some requirements that need to be satisfied before sanctioning the loan. In an FHA mortgage if the requirements aren’t made the seller might find him or her in a chaos of making last-minute changes in the sale – the demands in a VA mortgage also stand the same. A mortgage commitment date symbolizes the ultimate date of buying a home. As mentioned earlier the home selling process has contingencies throughout, and the risks of a loan fall-through are unpredictable hence, it is necessary to have a mortgage commitment date. If the date lapses, the seller is entitled to keep the earnest money deposit. Earnest money deposit is the money that is held by a listing agent (escrow) until the sale closes. This money is kept in custody which ensures that the buyer satiates the conditions of the contract if he or she fails to do so the money is given to the seller as liquidated damages. The typical escrow amount is 5% of the sale price. Home selling is a hyperactive-chaotic situation as everything is fast-paced. There is a spectrum of home selling bar where you need to fix a suitable time for each move from selling to moving further. It is advised to keep your plans settled as closing dates are usually the most critical aspect of the sale. Mistakes on contract show poor knowledge of a realtor and uncertainty of the buyer, using white ink, re-writing or over-writing on the contract is unacceptable. Dodging of poor errors will provide you with the assured sale. 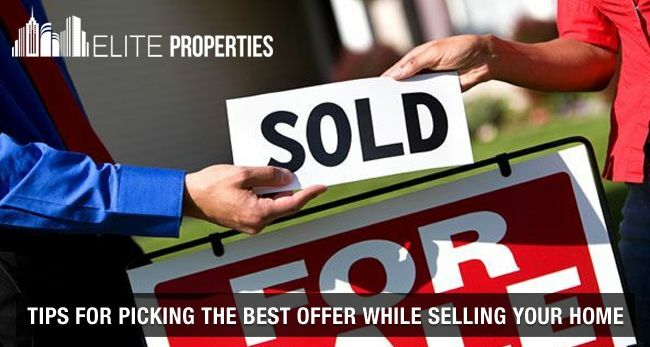 Covering many sub – topics, here is providing you with an effective method and tips to consider when you pick the best offer while selling your home. 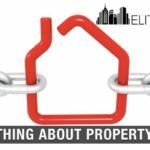 If you are living in New York City and require more assistance regarding the above or any other real estate crisis you can get in touch with a reputed real estate company like ‘Elite Properties’, we will provide you with thorough support and answer each query.